This report is to discuss and evaluate the financial performance of a company which is listed on Australian Stock Exchange namely Abacus Property Group by analysing the historical data of last five years of the company beginning from the year 2011. The report covers both qualitative and quantitative element or performance indicators. The report discusses the background of the company and how it is placed in the industry along with overview of stock price movements of the company. The analysis of trends is being made of the items of profit and loss statement and balance sheet after which ratios have been calculated to measure the liquidity, profitability, capital structure and market aspects in relation to the performance of the company. The share price of the company is also calculated taking certain assumptions. After the evaluation of the operations and performance of company recommendations are also made in the report to the investors in order to support them in making their decision whether to invest in the company or not. The industry rate of return on equity is 22.80%. For the year 2015 the company earned 119.33 million Australian dollars as cash flows from operating activities, cash flow from investment actives included spending of Australian dollars 31.18 million and Cash flow from financing activities included spending of Australian dollars 111.26 million on financing activities. The cash flow margin of the company came out to be 31.75% for the year 2015. The cash flow per share was recorded at $0.283 and price cash flow at $11.66. The cash flows in the year 2015 fell by Australian dollars 23.27 million as compared to the year 2014. Out of the last five years the positive cash flows can be seen only during two years and highest negative cash flows can be observed in the year 2015. This shows that the cash flows of the company are highly fluctuating. Despite of negative cash flows being large amount spent on financing and investment activities, the book value of the company per share was recorded at $ 2.61 and tangible book value at $2.55 per share in 2015. The price cash flow of industry is –$16.00. The average growth rate in the earnings per share during the last five years of the company is 27.28% and 14.73% for the year 2015. This growth rate in earnings per share has been calculated excluding extraordinary items in order to make uniform comparison with the industry average and make analysis of the performance of company which is not biased. The EPS of the company shows an increasing trend during the last five years and has been ranked in line with the industry average and that of its competitors and peers in the industry. The market capitalization of Abacus Property Group is Australian dollars 1.79 billion with average volume of shares being 941,360 and outstanding shares of Australian dollars 556.58 million for the year 2015. The EPS of the company for the year is 0.2702 thus achieving the Price Earnings ratio of 11.92. The free float of the company amounts to 298.68 million Australian dollars. The industry market cap is 3113 billion and the price earnings ratio in industry is prevailing at 11.80. The calculation of the value of share of Abacus Property Group is being made using the Constant Dividend Growth rate Model. For the purpose of this calculation the dividend growth rate of the company is assumed to be 4% and the rate of return is assumed to be 9%. The latest share price of the company listed on the Australian Stock Exchange S&P/ASX index is $3.210 per share. The EPS of the company for the year 2015 is $0.25 and the Dividend per share is $0.17. The current ratio of Abacus Property Group is 7.33 and quick ratio is 7.13 for the financial year 2015 which means that the current assets of the company are 7.33 times of its current liabilities. Thus it can be concluded that the current assets of the company are capable to finance its current liability and therefore the company has a strong liquidity position in the market allowing it to gain competitive advantage in the industry of real estate development in Australia in which the other companies do not enjoy good liquidity position. 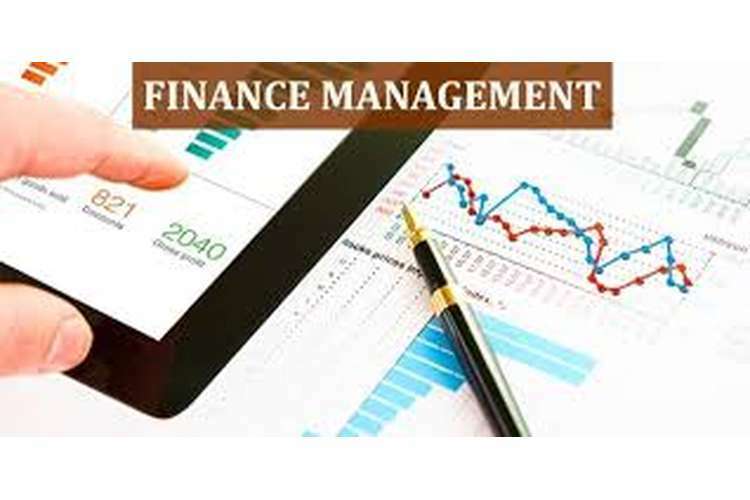 The working capital requirements of the company are easily accomplished enabling the company to perform its operations in a smooth and efficient manner. On an analysis of the company’s historical data during past five years it can be observed that during recent years the debt of the company is decreasing. The debt to equity ratio of the company is 0.5288 and the debt to capital ratio is 0.3393 for the year 2015. The industry debt to equity ratio is 0.7590 which is higher than the debt equity ratio of the company. Thus the better off as compared to other companies in the industry in terms of its debt position. This gives the company competitive advantage and opportunity to enhance its position in the market through management of its capital structure. On the basis of above analysis and evaluation of performance of Abacus Property Group during last few years as discussed in this report it can be concluded that the company enjoys a good and secured position in the Australian market. Out of the other countries belonging to real estate industry listed on Australian Securities Exchange and trading in Stock market of Australia the price of the company’s share reflect its true worth and the investors will be able to earn good returns by investing in the shares of the company. From the overview of the stock price movements it can be concluded the price of the share of company in Australian market is highly fluctuating and as compared to other companies belonging to financial and REIT sectors of the industry it can v=be seen that the price movements of Abacus Property Group are high. Thus the performance of the company can be rated as good in context of industry performance. (SWABP) Ferret's Stock Watch: ABACUS PROPERTY GROUP 2014, , Australian Associated Press Pty Limited, Sydney. Clipici, E. & GÂDOIU, M. 2010, "COMPANY PERFORMANCE EVALUATION– GENERAL INFORMATION", Anale. Seria Stiinte Economice, , pp. 331-335. Engsted, T. & Pedersen, T.Q. 2010, "The dividend–price ratio does predict dividend growth: International evidence",Journal of Empirical Finance, vol. 17, no. 4, pp. 585-605. Farmer, M., Archbold, S. & Alexandrou, G. 2013, "CEO Compensation and Relative Company Performance Evaluation: UK Evidence", Compensation & Benefits Review, vol. 45, no. 2, pp. 88-96. Ivanovski, Z., Ivanovska, N. & Narasanov, Z. 2015, "APPLICATION OF DIVIDEND DISCOUNT MODEL VALUATION AT MACEDONIAN STOCK-EXCHANGE",UTMS Journal of Economics, vol. 6, no. 1, pp. 147-154. Kotane, I. 2015, "Evaluating the importance of financial and non-financial indicators for the evaluation of company’s performance", Management Theory and Studies for Rural Business and Infrastructure Development, vol. 37, no. 1, pp. 80-94. McMillan, D.G. 2014, "Modelling Time?Variation in the Stock Return?Dividend Yield Predictive Equation", Financial Markets, Institutions & Instruments, vol. 23, no. 5, pp. 273-302.